Majlis 19: Money over integrity - Who will win? With the parliamentary election looming up ahead, political parties and independent candidates alike are campaigning with great energy and enthusiasm. Bill boards, banners and flags are being hoisted with added zeal, while candidates compete with each other in the form of blaring speakers and social spaces. The monthly salary of a parliament member is over MVR 82,000 including allowances and other incentives. 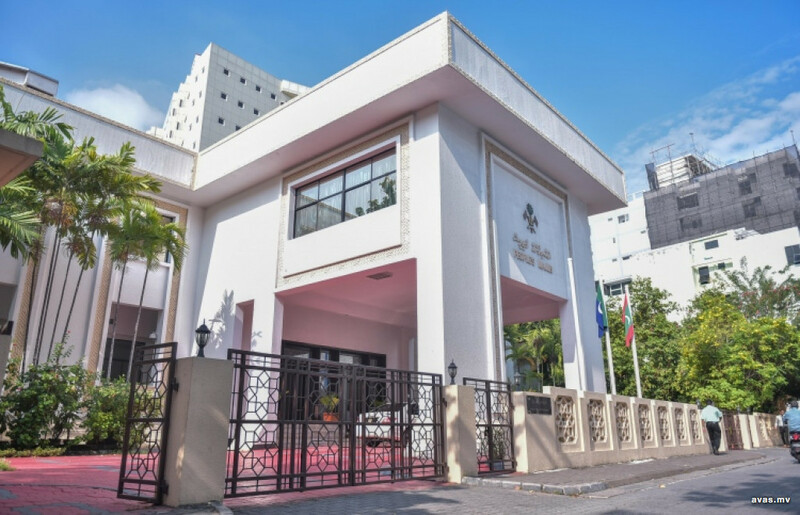 The members will receive almost MVR five million as salary over a term of five years. While this is the case, we are witnessing parliamentary candidates spending twice or thrice the amount for their campaigns alone. It is safe to assume that candidates are willing to spend such exorbitant amounts in their bid to win a parliament seat because there are other benefits to being an MP beside the monthly salary. A campaign manager of a current parliament member revealed that approximately MVR 12 million was spent for the campaign of the particular member for the 18th parliament to be successfully elected after beating his opponent. "In an election, money is everything. When we go door-to-door for campaigning, the occupants of the home return our greetings only to ask how much we are willing to offer them for their vote. Sometimes, it feels as if we are out shopping in the market, even bargaining takes place. 'There are nine residents in this house, so the price will go up if you want all nine votes', [these are lines we have heard]. If you don't have an extravagant amount of money to spend, there is no way you can win an election. During the election of the 18th parliament, bribes were distributed even in front of the voting centers. Huge amounts were given, and promises were made in return", he said. There are two wrongs that come with this system: One is, the expense made and the bribes given in the bid to become an MP. This is a wrong because the candidate is making investments, while that itself is a bribe. The candidate would wish to make good on his investment and ensure a return at any cost. This same scenario has played over and over in the past. The day after election, the elected MP opens up his 'loyalty' to the transfer markets. The party willing to pay the highest amount takes the cake. Such members would have a hard time in carrying out the responsibilities and leadership that comes with being an MP with integrity. Often times, said members would have to "sell their souls" in a bid to recover the expense incurred to win the seat. The second wrong is citizens of the nation are selling themselves. The citizens who took bribes would have 'no right to speak against the member' even if he changed his party with each rising sun. What more, even if the members support bills that are clearly not in the best interest of the people, they have to keep hush. Why, you ask? Because the first wrong was committed by the people themselves. While all discussions these days center around the parliamentary election, these discussions itself are centered around the topic of money. No money equals no votes. The intention has already been clouded. A candidate contesting for the 19th parliament said honesty, integrity and capability means nothing in front of money when it comes to voting. "We are going door-to-door for campaigning with copies of our educational qualifications and certificates. With records attesting that we have served the nation and the people for long years. But there doesn't seem to be any use of it. They do not want to know what our qualifications are, the people, they ask how much money we are willing to give. This is a tradition that a group of people have brought upon this nation", he said. What he is saying is not untrue. The people are more attracted towards the person with the money, and will choose as such over the person with capability. It truly is a tradition that has been brought upon us. In the past, parliamentarian-ship was a special title reserved only for the "esteemed men" who come from capital Male'. Although times have now changed with "lesser esteemed" people now contesting for the elections, the tradition of buying and selling votes introduced to the nation through these "important men from Male'" still remains. This is something the nation as a whole has to put a stop to.